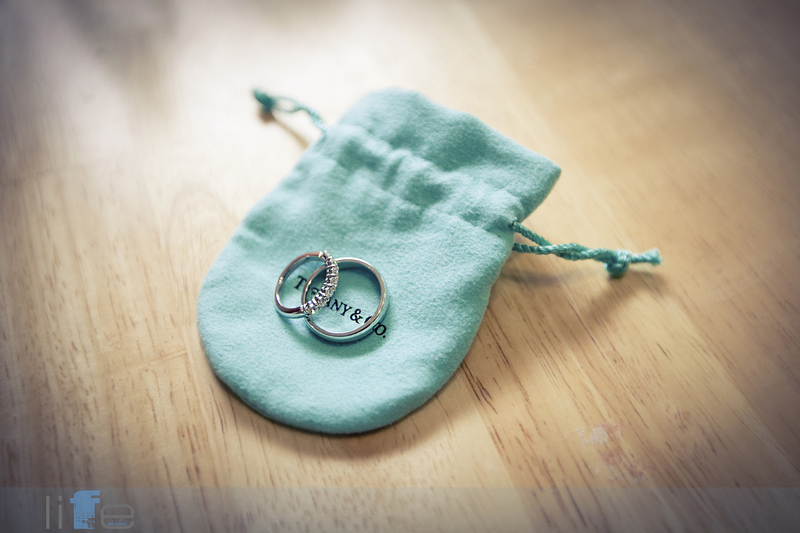 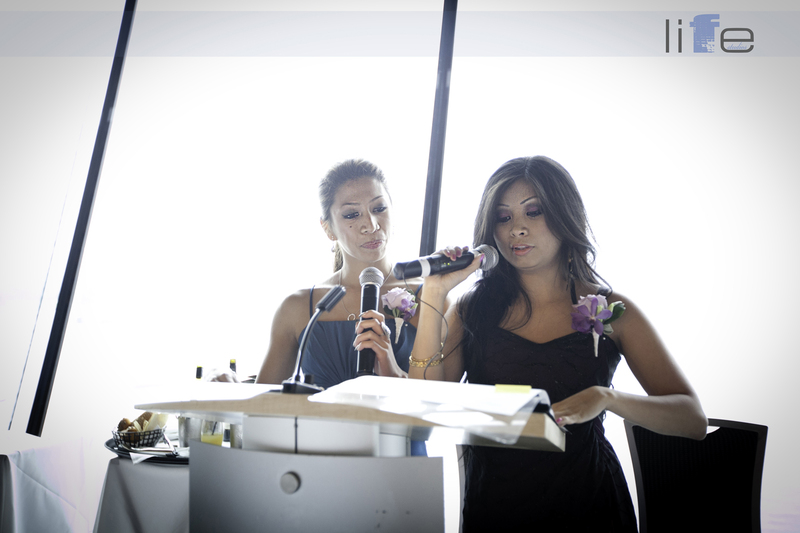 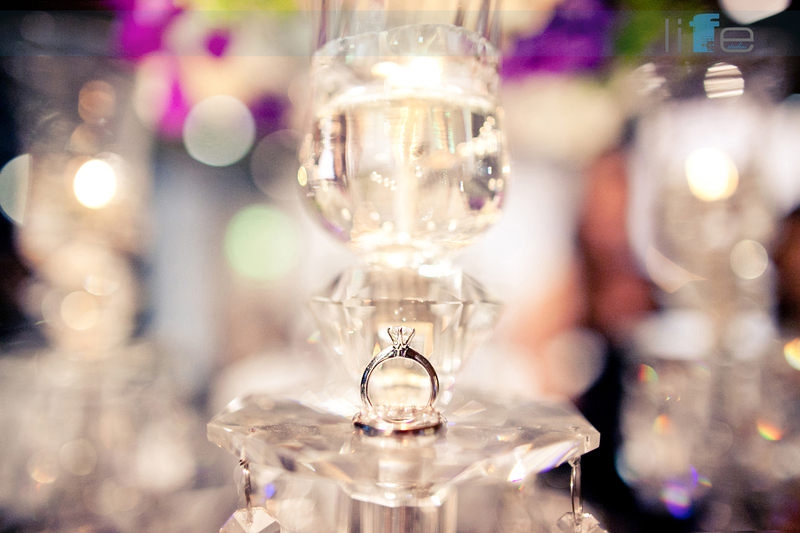 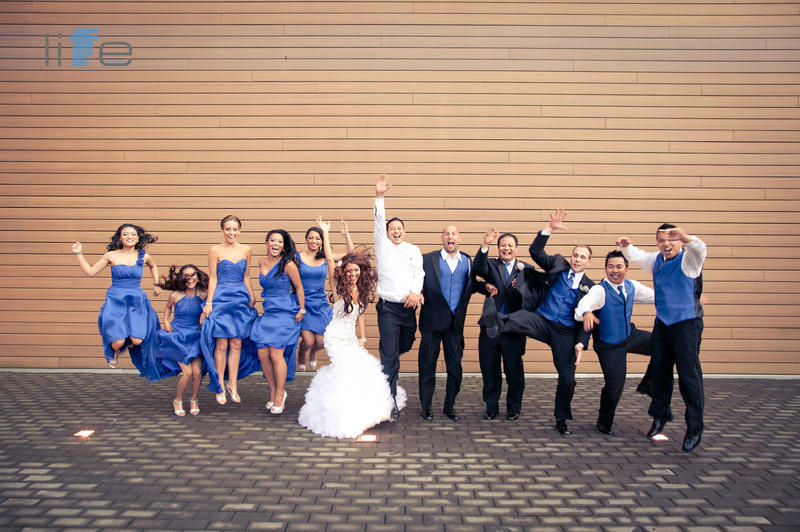 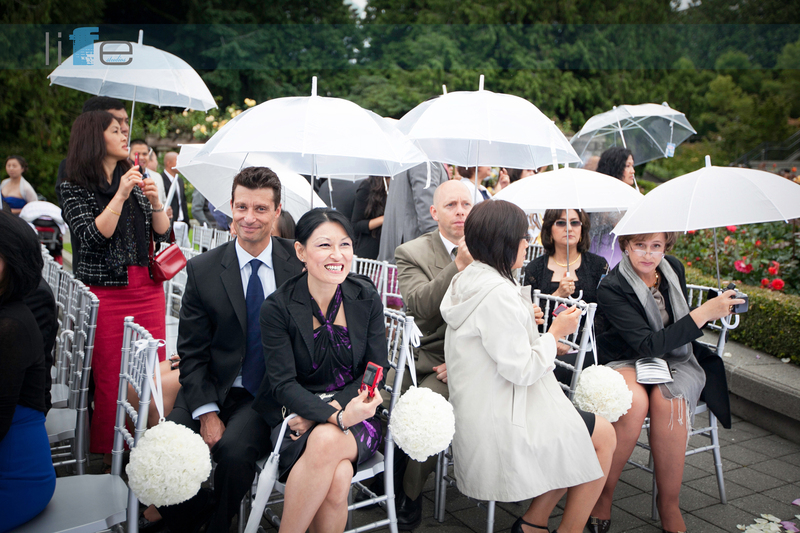 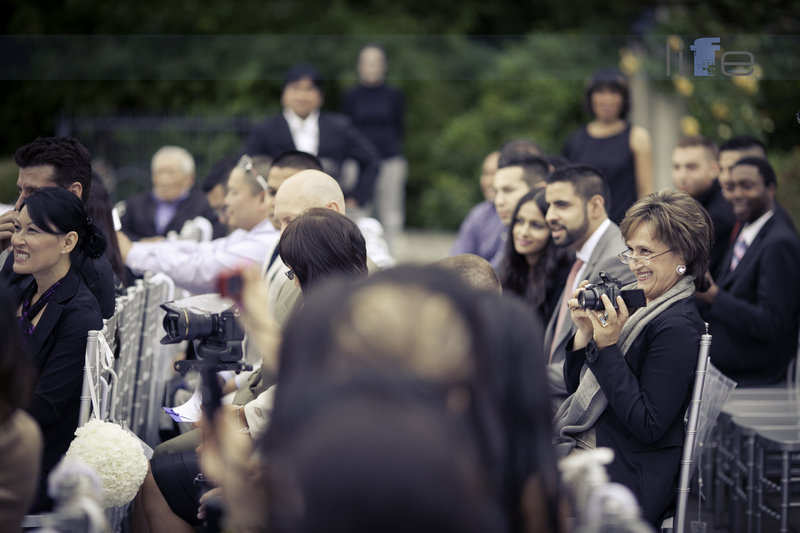 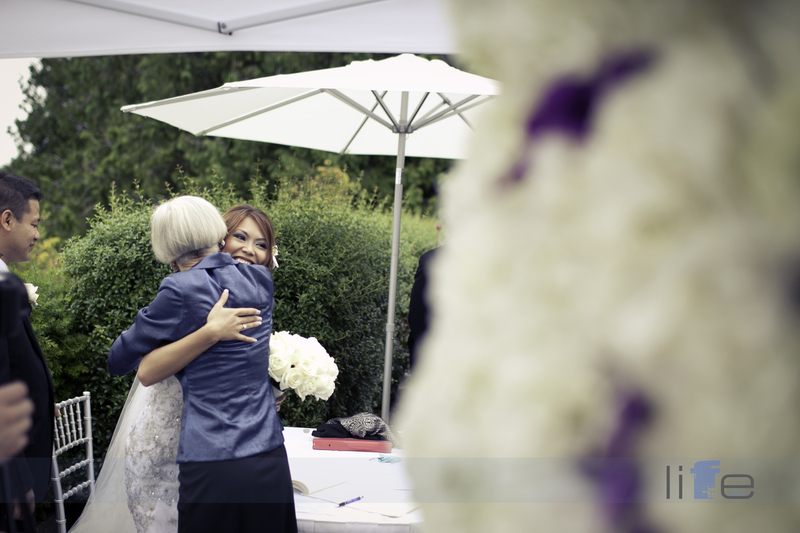 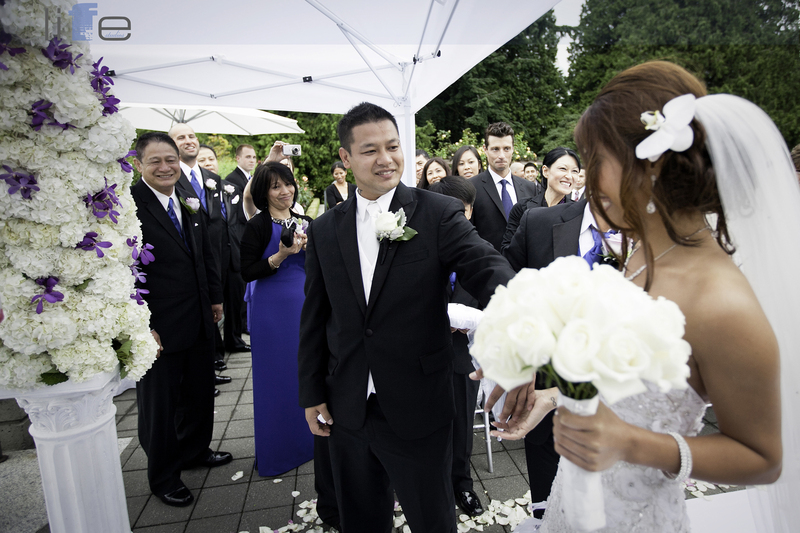 Vancouver Wedding Photographer Jerlyn and Albert Wedding Photos – Vancouver Wedding Photographer Life Studios Inc.
We were thrilled to be able to both shoot and film Jerlyn’s and Albert’s wedding! 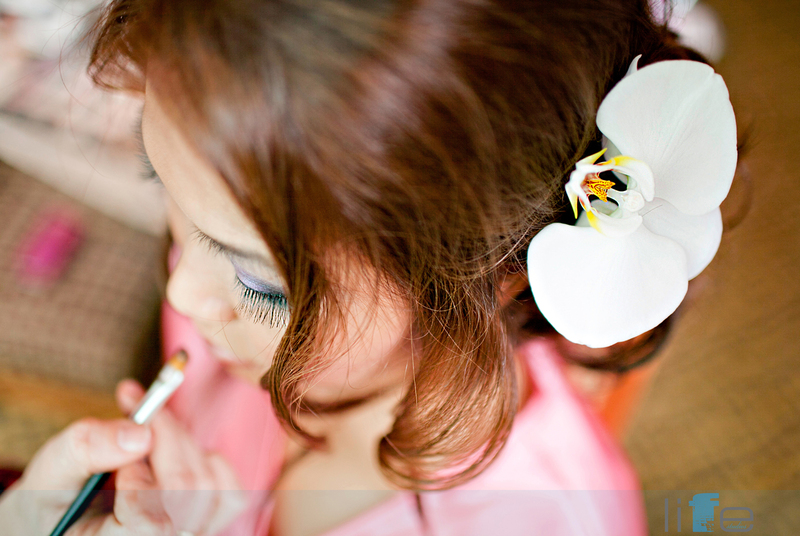 The day started with getting ready and Jerlyn’s choice of an orchid in her hair set the mood for relaxation and a paradise feel. 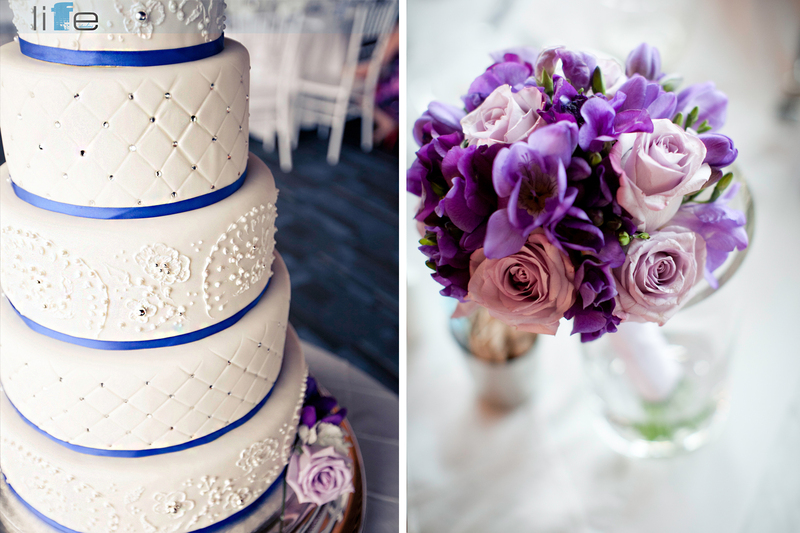 Blue and white were the colours of the day and we loved the myriad items of blue throughout the day, starting from Jerlyn’s blue crystal studded wedding shoes, to five different blue bridesmaid dresses, Tiffany’s wedding rings in a Tiffany’s blue pouch and touches of blue and purple flowers. 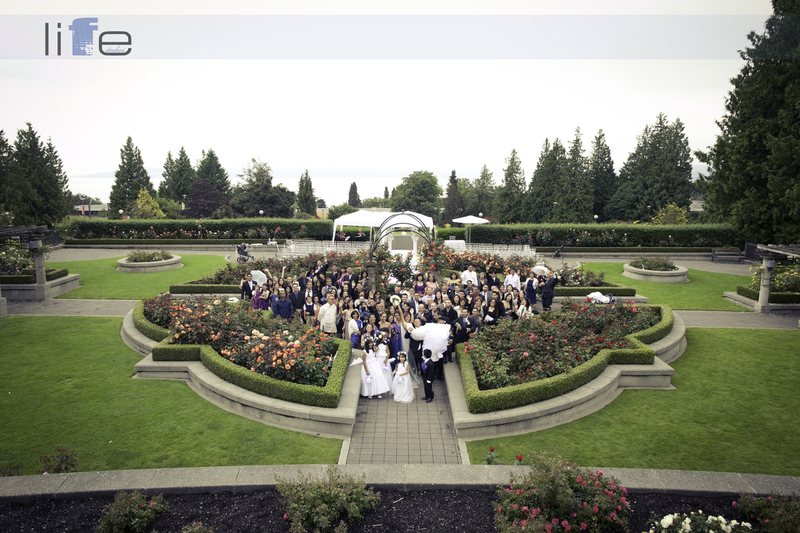 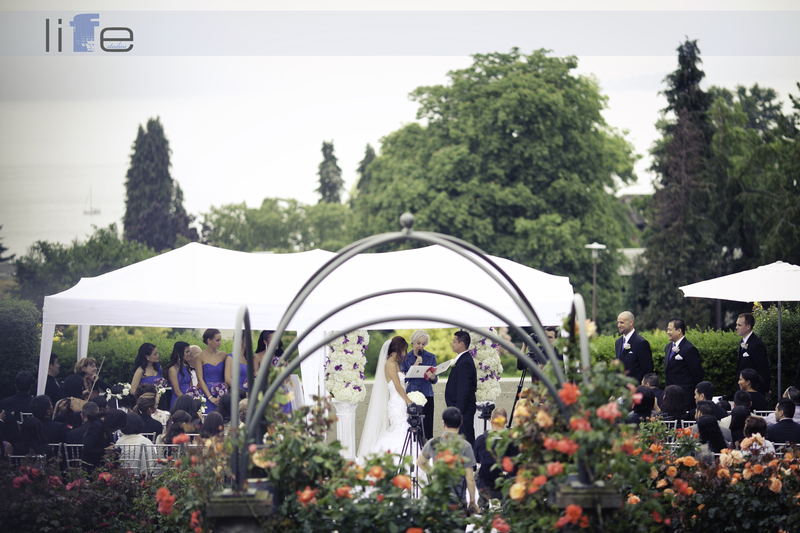 The lovely ceremony was held at the romantic UBC Rose Garden where large white floral arrangements made the outdoor space feel even more like a lush garden paradise. 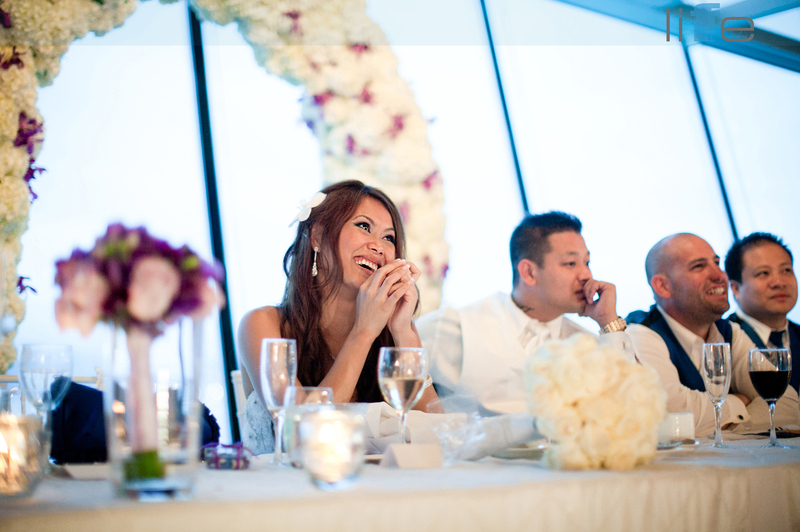 We loved the small purple flowers in the white arrangements that added a whimsical touch to the ceremony! 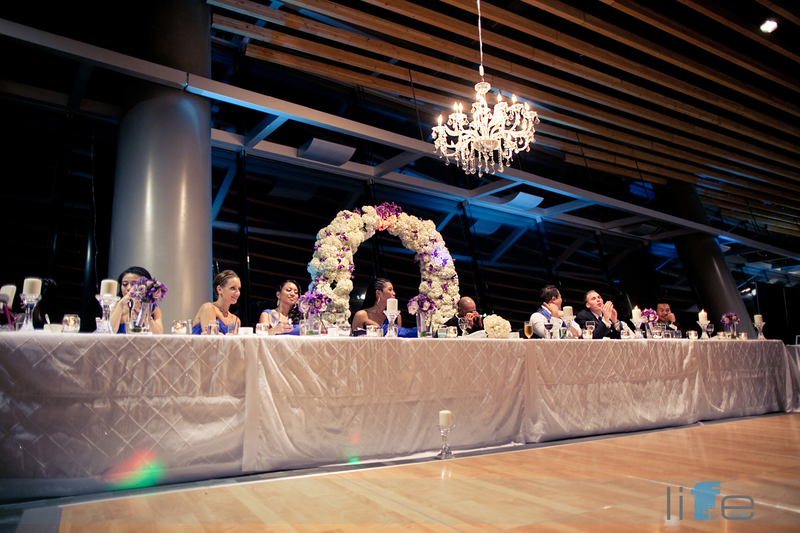 A reception followed at the Vancouver Convention Centre in downtown Vancouver. 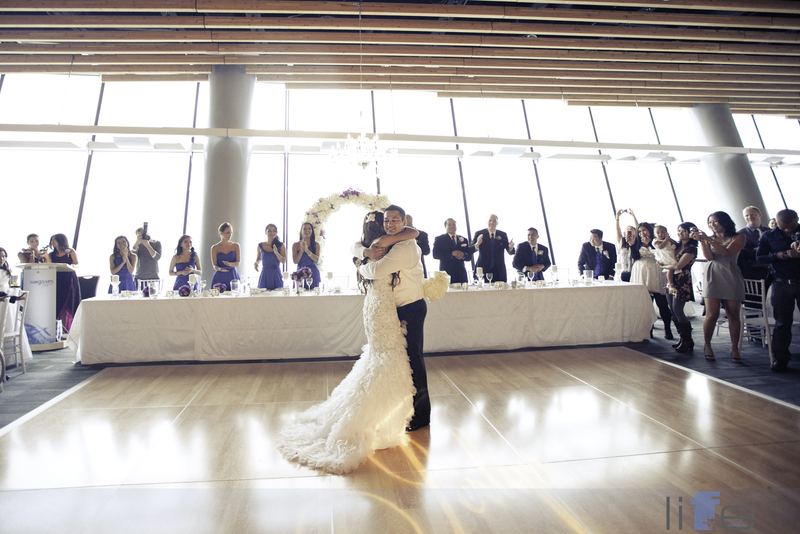 No matter how many times we shoot and film at this venue, the backdrop of the ocean is still always a breathtaking sight and this time was no exception! 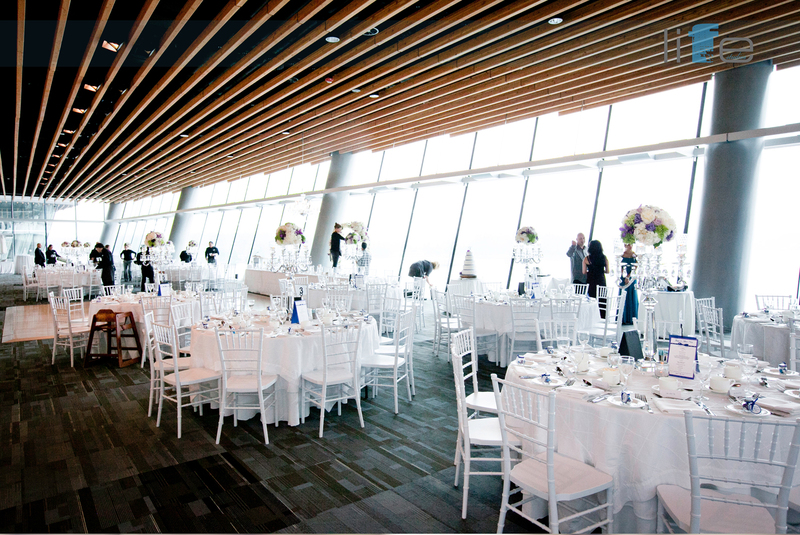 A five layer white wedding cake with blue accents drew the eye towards the front of the room and white chivari chairs blended into the space, leaving guests to focus on the gorgeous view of the water. 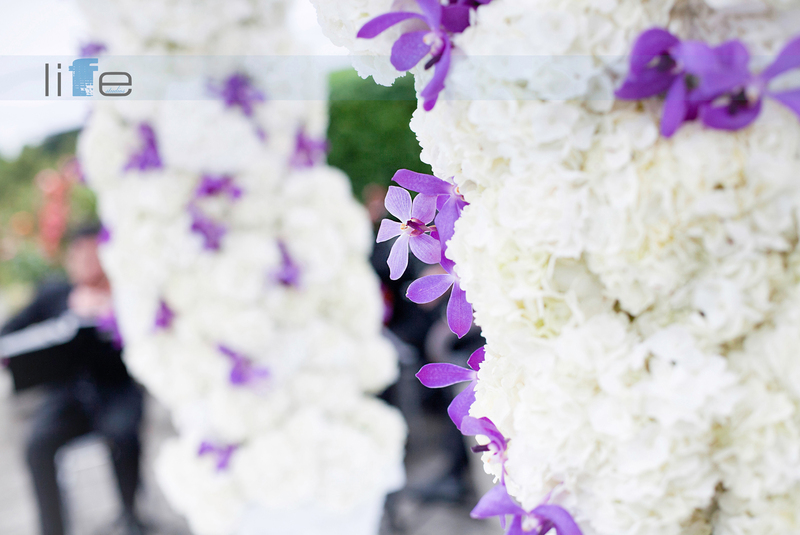 Jerlyn and Albert were framed by an exquisite floral arch with fluffy white and purple floral arrangements that was a stunning sight! 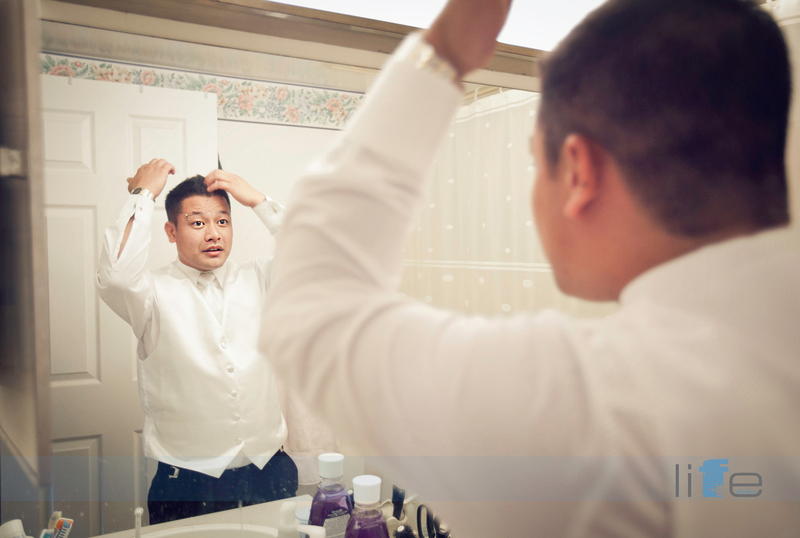 One of the things that we love capturing at weddings are children and the ones at Jerlyn’s and Albert’s wedding were too precious! 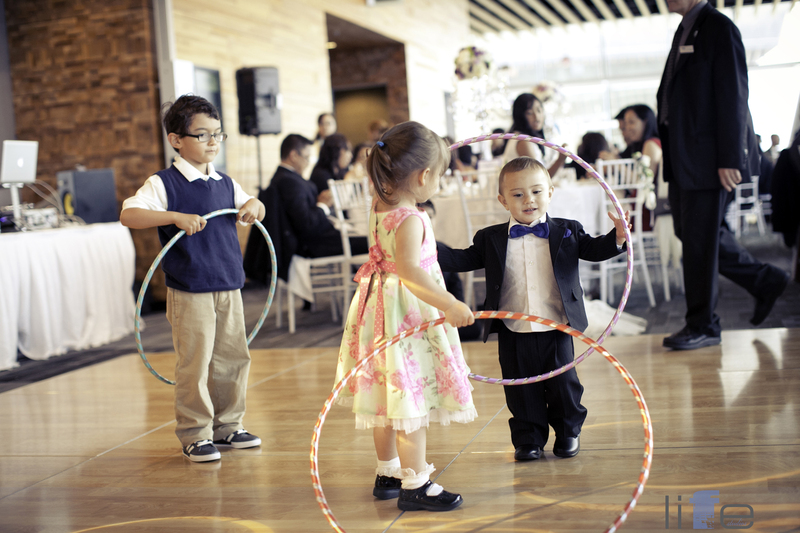 We couldn’t resist including a photo of the adorable little angels trying to master the hula hoop! 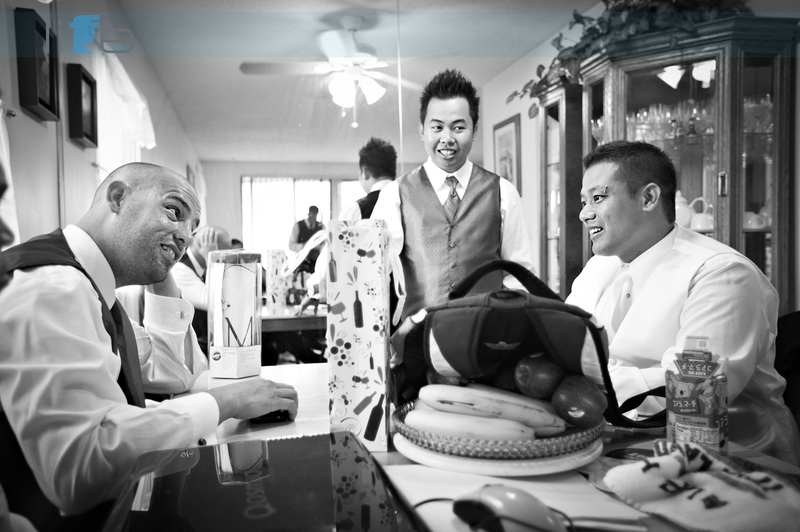 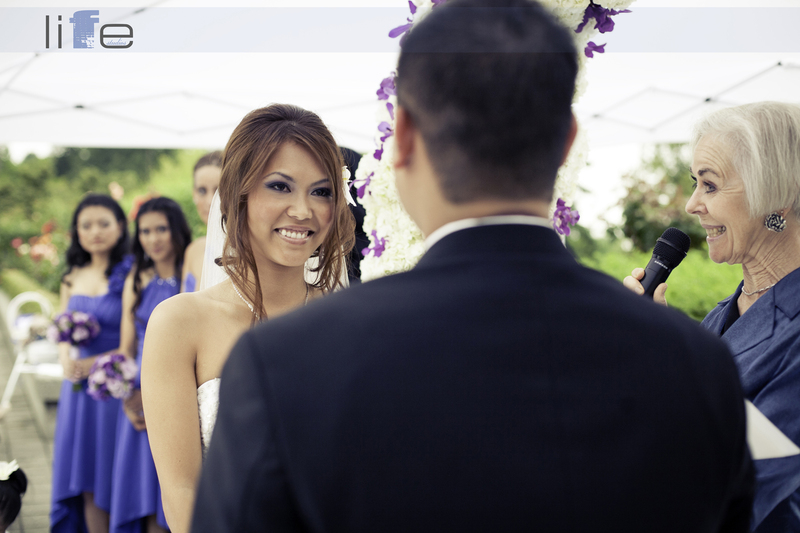 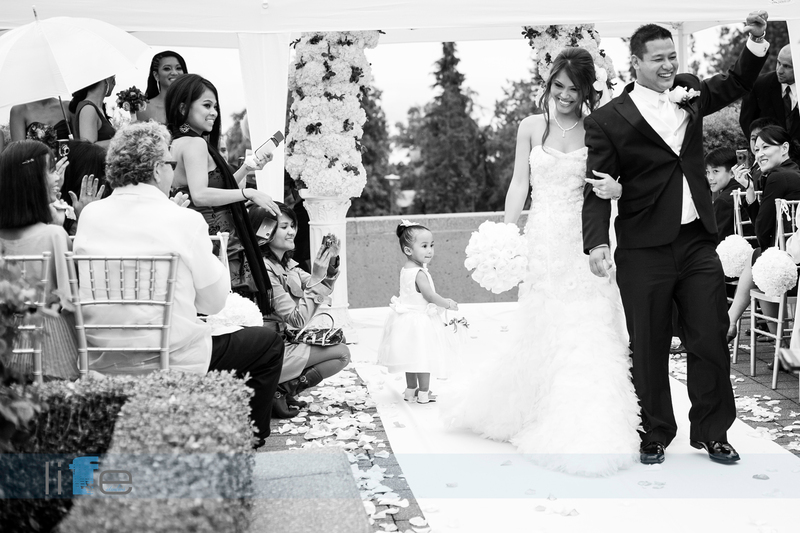 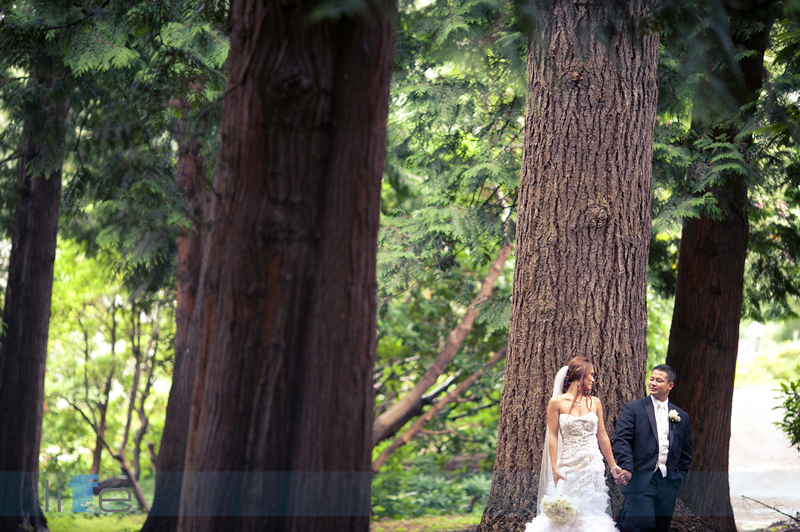 Thank you for letting us capture your special wedding day Jerlyn and Albert! 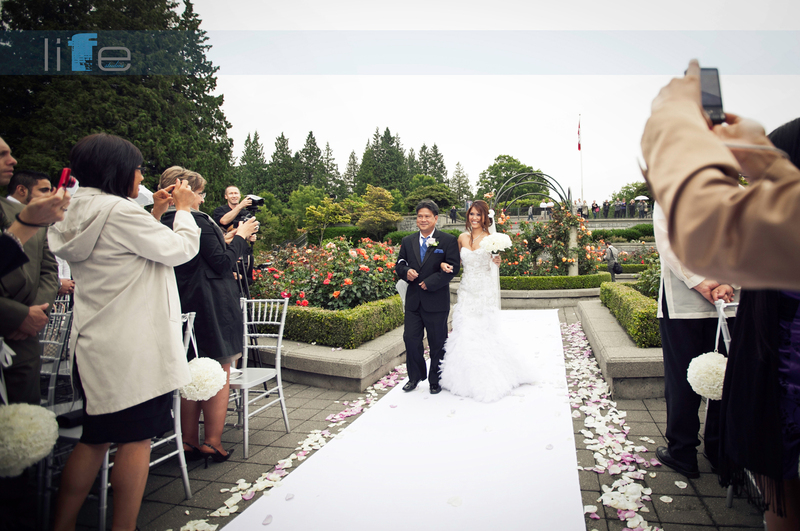 Enter a garden paradise of love and enjoy the Vancouver Wedding Photographer Jerlyn and Albert Wedding Photos!